She’s a virtue name with a horror movie twist. Thanks to Sharmila for suggesting Amity as Name of the Day. Grace and Faith are Top 100 picks in the US. Spiritual choices Destiny, Nevaeh and Trinity rank right up there with them. So it is little wonder that some parents are now searching for meaningful monikers that are less often heard. Amity comes to us from the Latin amicus – friendly. It’s certainly a good trait for a child. Better still, friendship feels nicely universal. Chastity, on the other hand, or Temperance are likely to be a bit of a burden (or worse, a challenge!) during those teenage years. Amity has more in common with Felicity (#698 in 2008) or even Charity (#793), Verity (unranked) and Mercy (unranked). They’re good girls, but they’re fairly uncontroversial virtues. And if you want meaning without dogma, then Amity is the kind of choice not clearly lifted from any particular set of beliefs. And while the name is simple to say and seems vaguely familiar, she’s never ranked in the US Top 1000 – another appealing characteristic for many parents. As a personal name, it is tough to pin down the first-ever Amity. 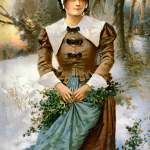 She was almost certainly used by Puritan families. But it isn’t as if all Puritan parents were dreaming up wildly inventive monikers like Flee-Fornication – most stuck with Anne and John. 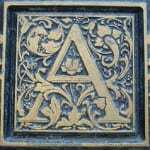 Nonetheless, Amity is regularly included on lists of virtue names, and it is perfectly possible – even likely – that she was first used in the sixteenth century. What’s certain is that she appears sparingly in the US Census records from the nineteenth century onwards. Amity is also a popular place name pick, found in at least eight US states and Australia. The map is where she runs into trouble. During the 1970s and 80s, friendly Amity had something of a sinister side. First a rogue shark plagued the good people of Amity Island in 1975’s Jaws. Two years later, The Amityville Horror scared moviegoers everywhere with the supposedly true story of a house haunted by vengeful spirits in the very real Amityville, New York. And, of course, she’s a virtue name – Grace’s little sister, after Mom and Dad wearied of hearing their firstborn called Gracie T. in nursery school. If you can overlook the horror film connections – and they haven’t hurt Carrie or Regan – Amity emerges as an appealing choice. She’s current and rare, straightforward and surprsing all at once. My name is Amity, and growing up I got a lot of “AmityVille Horror” comments. However, now that the faction ‘Amity’ appeared in a popular movie, the newest generation has forgotten all about it’s horror reference. I have never been able to be called by a nickname, just because nothing really fit. Strangers and children have a difficult time saying my name, which can be awkward. They often mispronounce my name as AMNETY. When servers ask for my name for an order, I typically give them my middle name (Kaelynn). It’s a very unique name with a great meaning (I was named after the town Amity in Oregon), however, there are plenty of downsides. My name is Amity and I’ve only heard comments about the movies a handful of times. There weren’t many people while I was growing up that would ask a child about Jaws or Amityville Horror. Today, maybe. Back then? No. Similar experience. I did get the movie references quite a bit, but I learned to habe fun with it and embraced it! Definitely more compliments though than playful jokes. Just realized how old this post is! I think I prefer Verity as an underused virtue name, both for meaning and sound. Amity is one of the factions in Divergent and will be the reference for the next generation of baby-namers. I think Amity has a sweet sound. I love the nickname Mitty. I love Amity and Verity, and am trying super hard to convince Erik for them, but so far no luck! I think they’re incredibly beautiful, though I love almost every virtue names! I knew a woman named Amity years ago and I’ve loved the name ever since! It doesn’t work at all with my last name, unfortunately. Otherwise, I definitely would have short-listed it. It’s my favorite of the virtue names. I first started considering Amity when thinking up names that honored my grandmother, who is Amita. I find it the most appealing of the virtue names because as you said, it feels the most universal. After all, Grace may not be graceful, but Amity will (hopefully) have friends! Horror movies have never been my thing, so I didn’t even make the connection between Amity and The Amityville Horror until I asked a question about the name on Yahoo! Answers. Even so, I don’t think it’s anything to worry about. I’m still on the fence about Amity’s usability for me, but I’d love to see more of her! Way back in my middle school years, when I first became a name enthusiast, Amity was one of my favorite girls’ names. I think it appealed to me because its rhythm was similar to Emily (my own name), but I had never heard it used on a real person. It’s one of the few name choices from my middle school years I’m not embarrassed to share. You want to hear the worst? Xylie — I “invented” it from Xylia and Xylina, which I first read in my mom’s “What Shall We Name the Baby?” book. Actually, with the Hayley/Kaylee/Kylie craze, I’m surprised I haven’t seen Xylie “invented” by anyone else. Anyway, back to Amity. Because I wasn’t born until 1981, and because I’ve never had a strong interest in horror movies, I never saw Jaws in full, and I had never even heard of The Amityville Horror until recently (and then only in name post discussing the usability of Amity). So those references don’t bug me a bit. I still like Amity. She’s not on my list anymore, but I’m always delighted to see her on other people’s lists. I adore Amity — that, Verity and Mercy are 1, 2, 3 on my list of virtue names [of which I only like a handful]. Strangely though, while my husband and I like those names for girls [I have a Puritan-era grandmother named Mercy], we actually prefer them for boys. Though, I really dislike Amy – I find her a little bland, as growing up in the 80s, Amy was a solid Top 20 pick. I am definitely not a fan of virtues at all, though she does appeal to me; I’d be charmed to hear her on another’s child! I really prefer Amy. But Amity is my favourite of the virtue names. It’s a nice meaning, but I have the same concern with this one as I do with a lot of the virtue names – it’s a lot to live up to, no? Amity is my favorite virtue name. (Verity comes in a close second). I like their meanings, and I find Amity most cheerful. The other half digs Horror (as you well know) so Amity s right up his alley for the flick(s), while she appeals to me because friendly is about as happy a meaning as one can find! I like Amity OK, but I agree that the horror film stuff might be a bit much… Amica has the same latin root without the horror association; I would be inclined to lean toward Amica over Amity. It’s a safer alternative, but not quite as commonplace as Amy. I’d probably just stick with Amy. Yeah, that’s playing it safe, I know.